The new industrial revolution, Industry 4.0, is here to stay. It aims to transform the way that business organisations work by improving our lives as consumers, customers, and workers. The possibilities that it presents us with are too good to let them pass by unnoticed. It involves advances in artificial intelligence, robotics and the internet of things, technologies that can have a great potential when they are connected together. Klaus Schwab, one of the founders of the World Economic Forum and the author of The Fourth Industrial Revolution, has spent years explaining the enormous possibilities that we have in front of us. It is difficult not to feel won over by his enthusiasm for a revolution that he assures “is progressing at an exponential rate”. As with all major changes, there are always challenges to be overcome. Schwab explains that in businesses, for example, adapting to this change will not be easy. We have to resolve problems such as the security and control of handling data that is not contained in a server but located throughout systems that are interconnected with each other. We all have to think about what this revolution means in terms of the workplace, as the way of working is already changing. The idea is that all parts of an organisation are integrated within the same plan. This maximises and makes the most of the skills of all collaborators. Although it might seem contradictory, this greater cohesion is compatible with better flexibility, a continuous disposition for learning, and a greater capacity to react to change. In this context, the business, along with companies, are obliged to offer alternatives to anyone who finds themselves in the sectors most affected by the technological disruption. 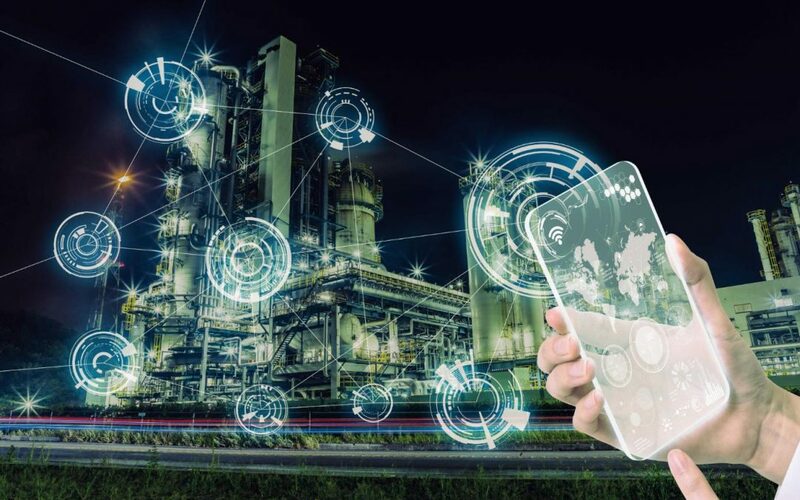 In this article about new “intelligent factories”, Deloitte says that these plants must be connected and optimise their processes. They also have to be transparent from the inside and outside, be proactive in resolving problems and agile, and be able to deal with a constantly changing environment. In this sense, the education system will also have to adapt on all levels to deal with innovations of an enormous scale that are already here and evolving at a dizzying rate. Here is an example of this: the ‘Connected Industry’ chair at the Comillas Pontifical University ICAI-ICADE, of which Enagás is a corporate sponsor, is a pioneer in this area and aims to create the new professional profiles demanded in this fourth industrial revolution. Experts assure that the key to success in this revolution lies in being open to change and thinking about the growing improvements that will be obtained through this journey, rather than focusing the end result. Like in the good sci-fi films that on occasion have inspired the technicians who are now developing these new technologies, the excitement surrounding benefits that they bring outweighs the fear of the challenges presented to us. The challenge is enormous, but the opportunities offered by integrating physical and digital worlds are fascinating. Businesses will be more efficient, and therefore more sustainable with a new business model that has infinite possibilities.